On Sunday 2nd October 2011, the Bristol Motor Club, in partnership with the National Trust, organised a spectacular display of cars in action on the drive at the Dyrham Park Estate near Bath, under the title – SPIRIT OF THE 60s. 50 years earlier, the National Trust had just taken over the running of the Estate. 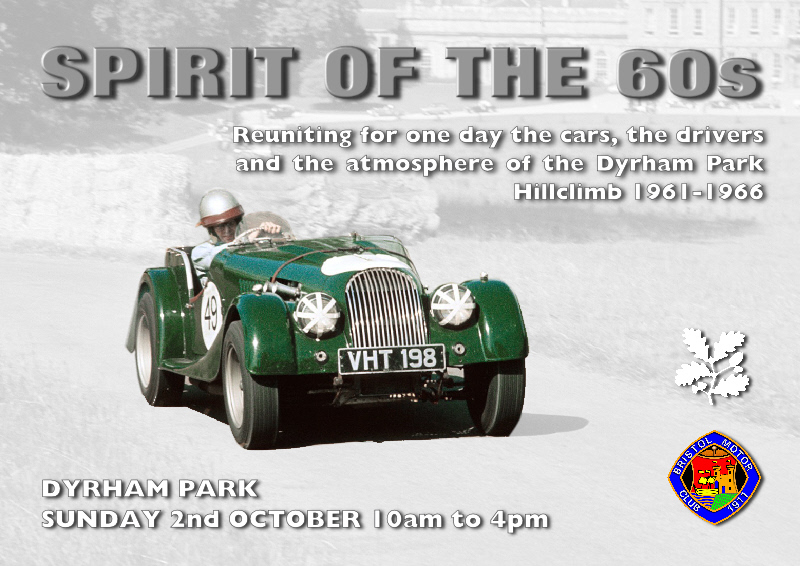 Also in 1961, the then Bristol Motor Cycle & Light Car Club organised the first Dyrham Park Speed Hillclimb. 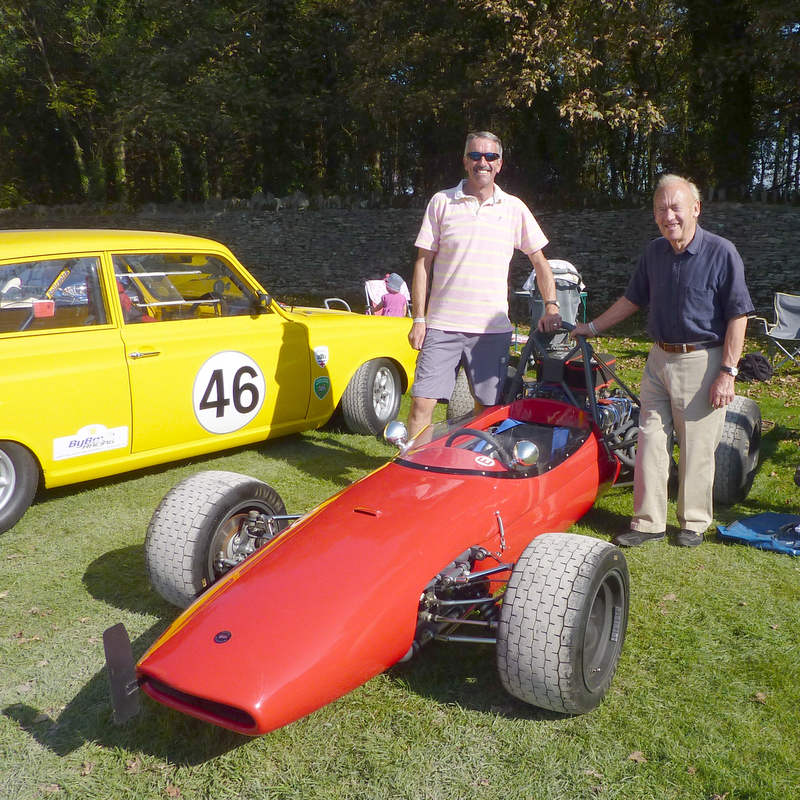 The SPIRIT OF THE 60s was a celebration of these two anniversaries, both of which also fell in the year that Bristol Motor Club was celebrating its centenary, and it vividly brought to life memories of a much-loved period in the club’s history. Many of the cars that took part in the original hillclimb during its five years’ existence were on display on that memorable October day. The cars performed demonstration runs up the historic drive, watched by a record crowd of over 5000 spectators, all eager to experience again the sight and sound of motorsport in the Park. 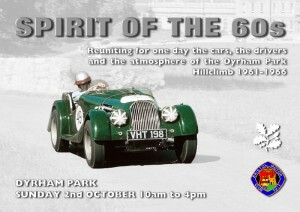 It was a nostalgic and emotional reunion between drivers, their cars, and the unique atmosphere of Dyrham Park. The record time for the 800yds Dyrham course stands at 30.05 secs; it was set at the last meeting in September 1966 by Bryan Eccles who, 45 years on, was reunited with one of the cars he owned in the 60s, a Brabham BT18 single-seater racing car powered by a Buick 3500cc V8 engine. The picture shows Bryan (right) with Chris Merrick, who borrowed the car for the day from its owner, Simon Durling, who was unfortunately on holiday in Portugal.